English verbs come in several forms. For example, the verb sing can be: sing, sang, sung, singing or sings. This is a total of 5 forms. Not many, considering that some languages (French, for example) have more than 30 forms for an individual verb. English tenses may be quite complicated, but the forms that we use to make the tenses are actually very simple! 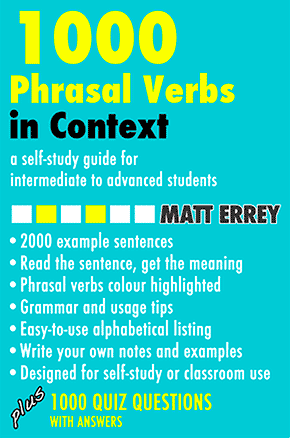 With the exception of the verb be, English main verbs have only 3, 4 or 5 forms. Be has 8 forms. Helping verbs have even fewer forms as most of them never change. In this lesson we look at the forms of main verbs and helping verbs followed by a quiz to check your understanding. Main verbs (except the verb "be") have 3, 4 or 5 forms. The verb "be" has 8 forms. In the table below, the # column shows the actual number of forms for the given verb. We use these forms to make all the tenses and other verb structures, in all moods, aspects and voices. 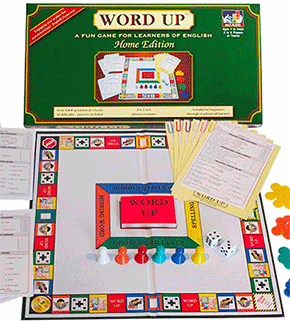 Note that in dictionaries the headword for any given verb entry is always in the base form. For example, sing and to sing are both infinitives. As they are identical in form to the base form, and "to" is not part of the verb, we do not list the infinitive as a separate form. Note that the "to" is NOT a preposition. It is an "infinity marker" or "particle". At school, students often learn by heart the base, past simple and past participle (sometimes called V1, V2, V3, meaning Verb 1, Verb 2, Verb 3) for irregular verbs. They may spend many hours chanting: sing, sang, sung; go, went, gone; have, had, had; etc. They do not learn these for regular verbs for one very simple reason - the past simple and past participle are always the same: they are formed by adding "-ed" to the base. They do not learn the present participle and 3rd person singular present simple for regular or irregular verbs for another very simple reason - they never change. The present participle is always made by adding "-ing" to the base, and the 3rd person singular present simple is always made by adding "s" to the base (though there are some variations in spelling). Note that "have", "do" and "be" also function as helping or auxiliary verbs, with exactly the same forms. These example sentences use main verbs in different forms. She helped him work on his homework. We heard them sing their national anthem. She cut his hair last week. They were surprised, but I was not. He needs a folder made of plastic. It is done like this. Singing well is not easy. Having finished, he went home. We use helping verbs (auxiliary verbs) with main verbs. The tables on this page show the forms of all helping verbs. He does go home sometimes. They have finished their homework. John had not called for three weeks. They will be eating when we arrive. Jo is not watching TV. Tara was cooking when I phoned. We use modal helping verbs to change the "mood" of the main verb. As you see, modal verbs have only one form each. They never change. We use the word "form" to mean the "shape" or "writing" of the actual verb itself. Do not confuse verb forms with tenses. We use the different verb forms to make the tenses and other verb structures, but they are not the same thing.